If you are not already aware, SIFF Buzz is our weekly (or sort of weekly, depending on how efficient we are from week to week) tabloid that is here to provide you with updates, news and highlights of the festival. There is always so much going on that it is impossible to keep up with it, so hopefully you will find the BUZZ both entertaining and helpful. This season we have changed up the format for a cleaner look, and to include more content. We really want to showcase the talents of our members more, so these larger issues will allow for that. 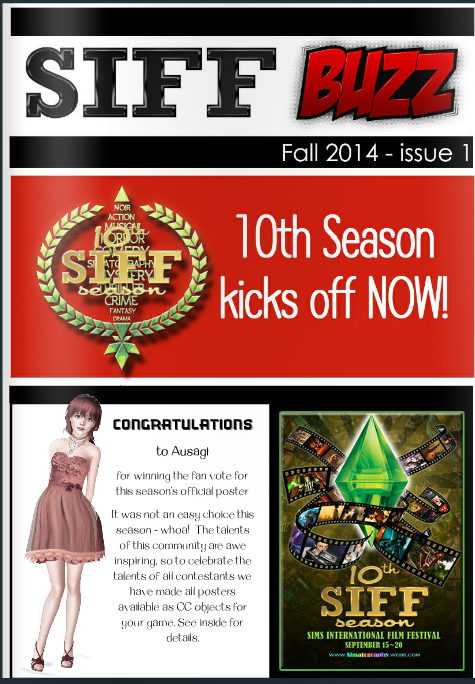 Expect to see Red Carpet photos, film reviews and more - all related to SIFF. If you know the old joke "What's black and white and red all over? - A newspaper! Get it? hahaha" wel then you will understand why we are using a red black and white colour scheme. Ok, so that's my attempt at being witty, but it does make for a nice looking publication. So be sure to follow us on our various sites so that you don't miss an issue. and of course on Issuu where you will find the publications.